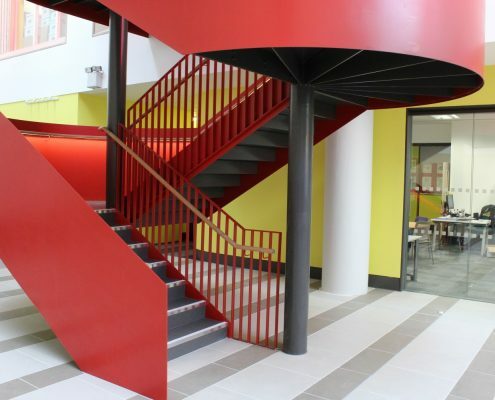 Our comprehensive portfolio of projects in the educational sector has another gem. 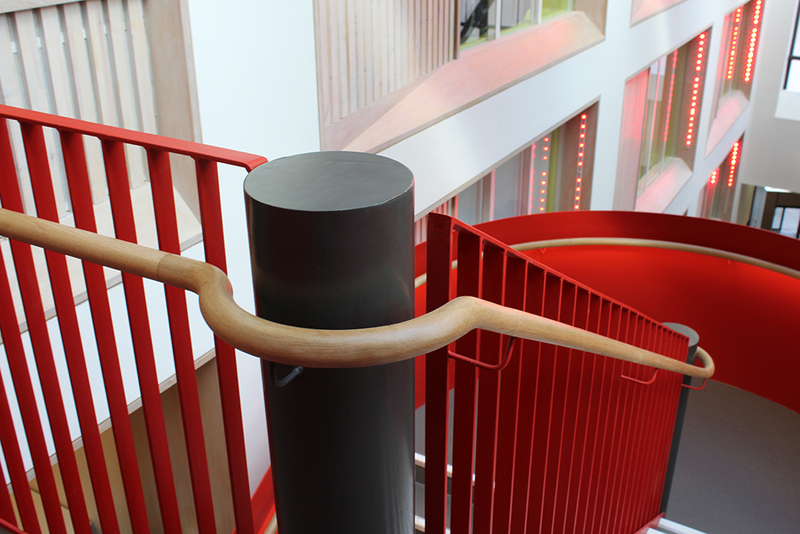 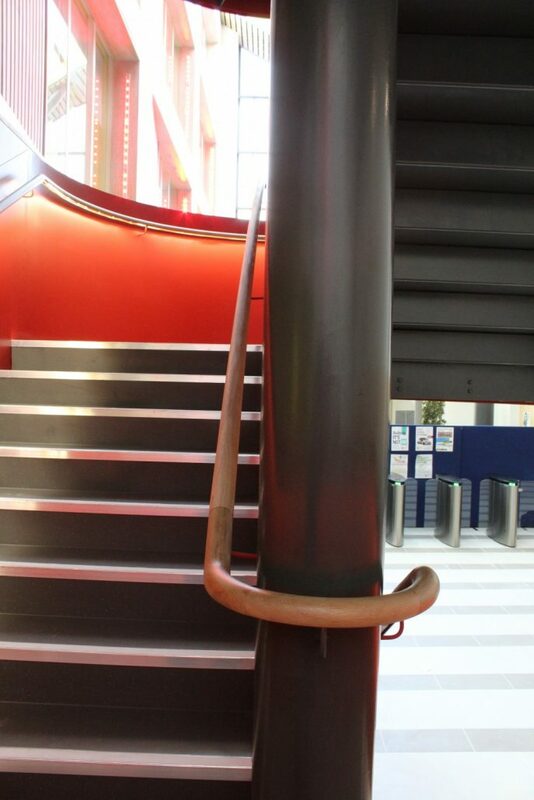 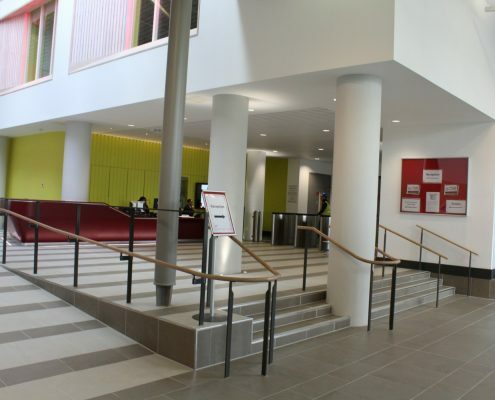 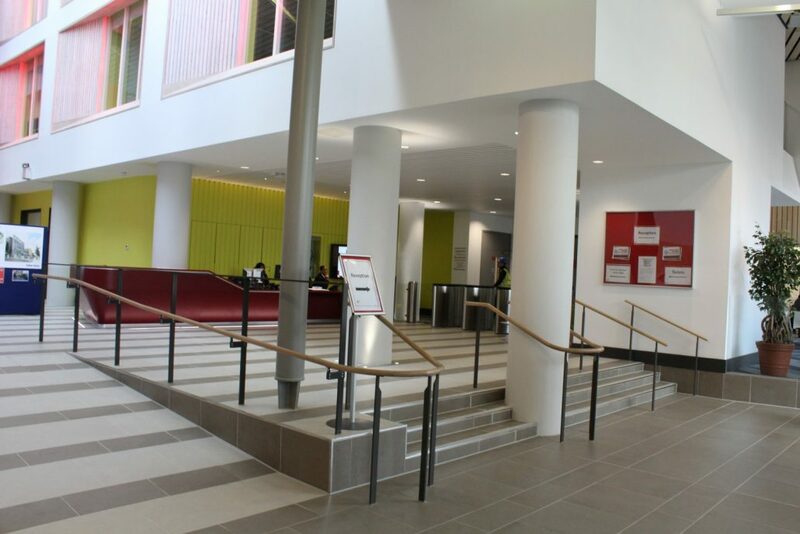 We were subcontracted to supply manufacture & install continuous oak handrails the reception area at Lesoco College. 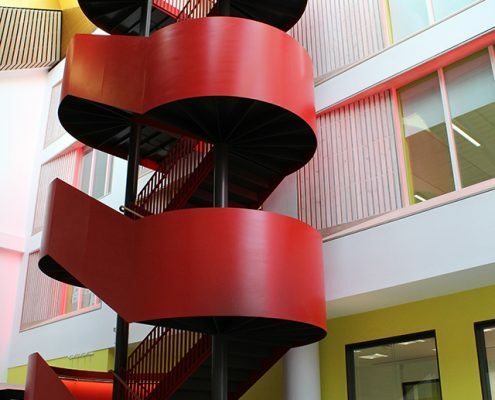 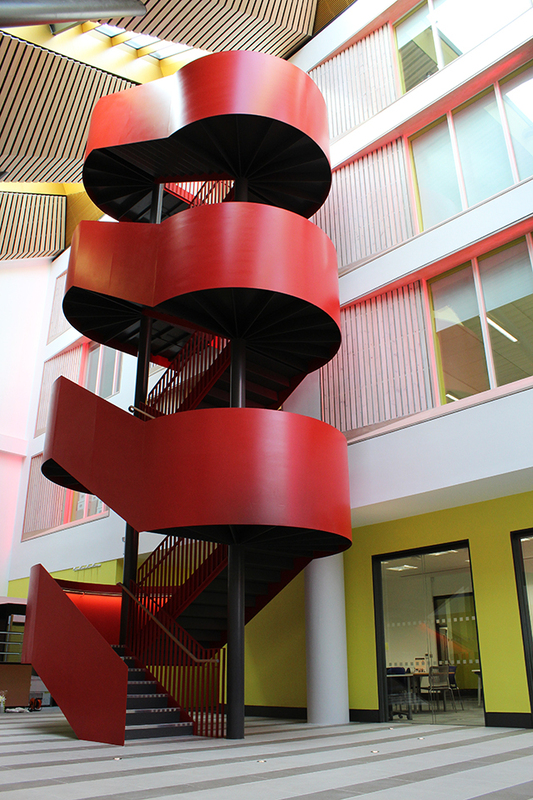 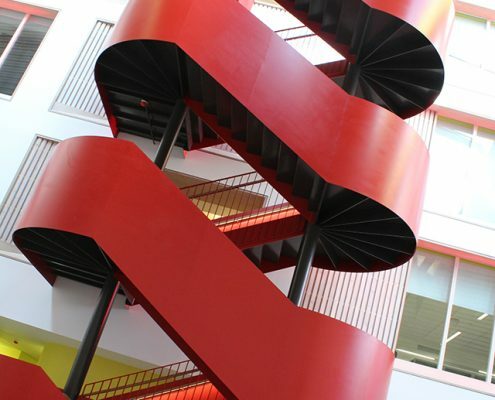 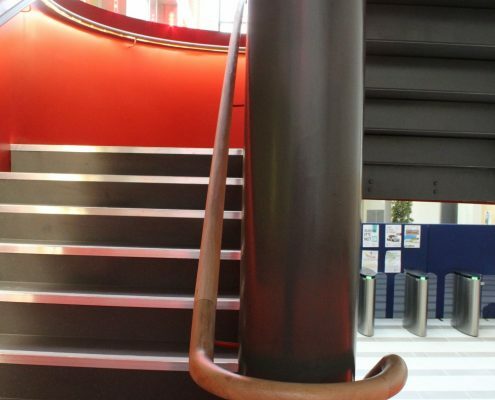 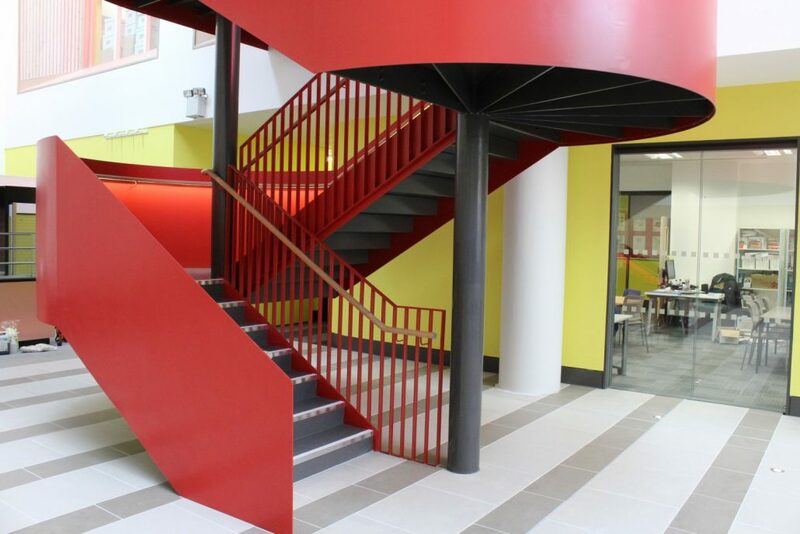 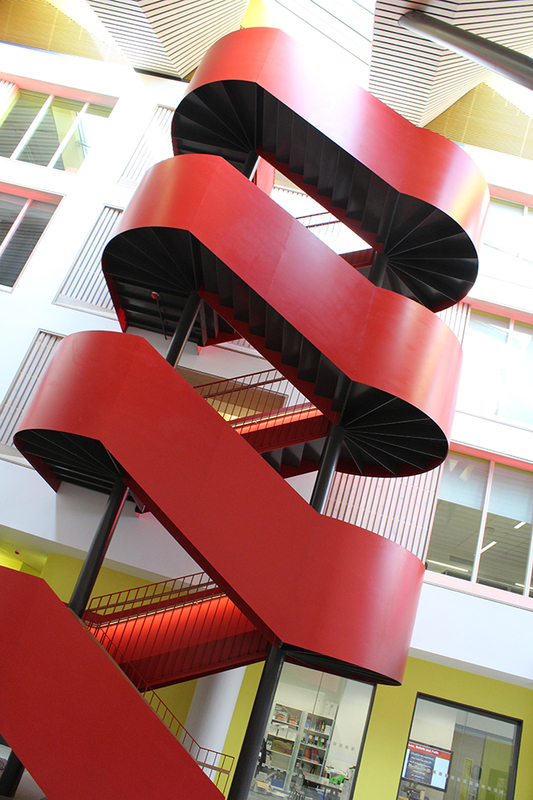 This included the striking red feature steel staircase and the entrance as well as disabled ramps and galleries. 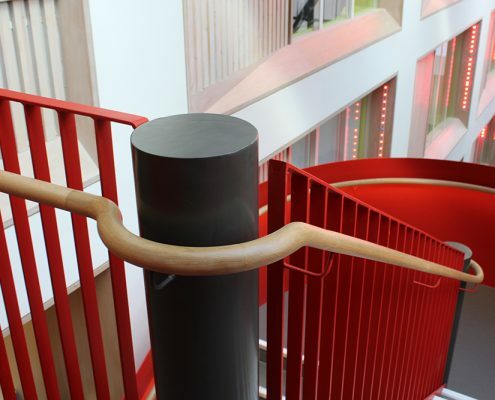 The oak handrails have been finished with a clear lacquer and were fitted within 3 days, inline with a demanding construction program and to strict building regulations.